Welcome! 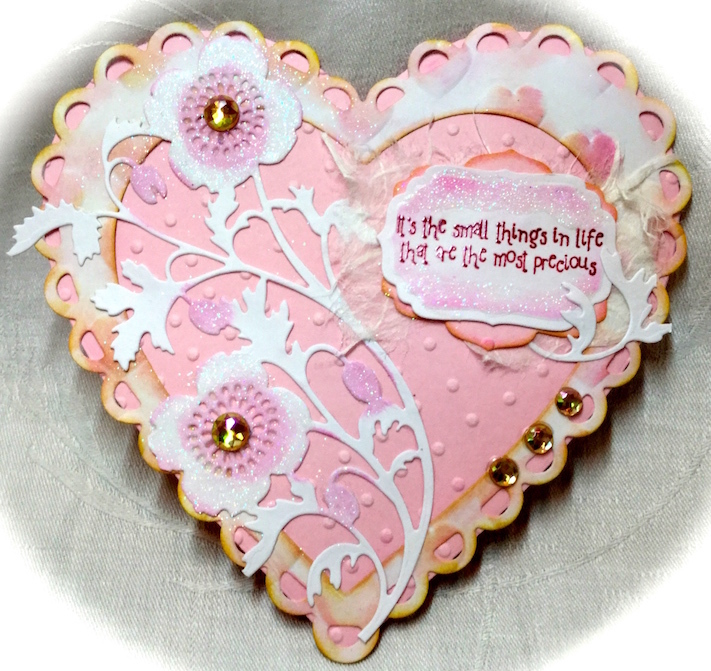 Donna, here, with today's Dies R Us Inspiration! 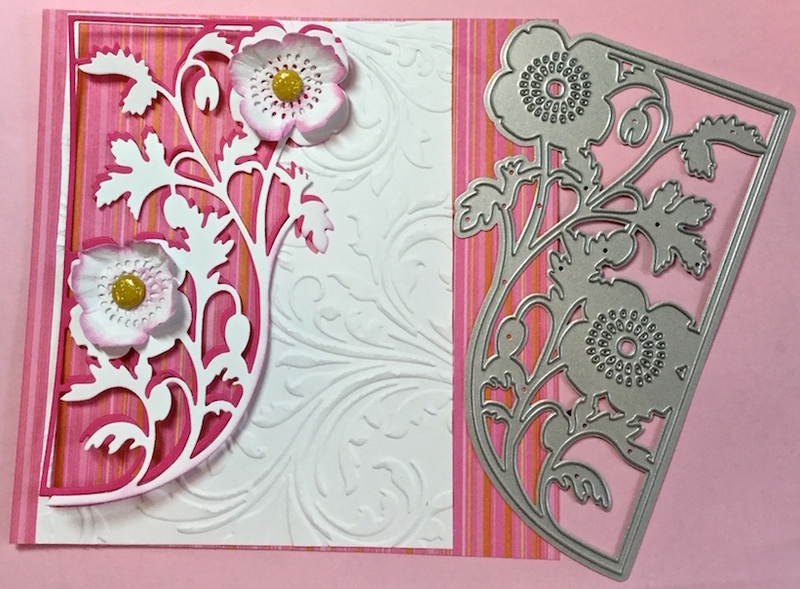 The Tutti Designs Poppy Edge metal die cuts beautifully. 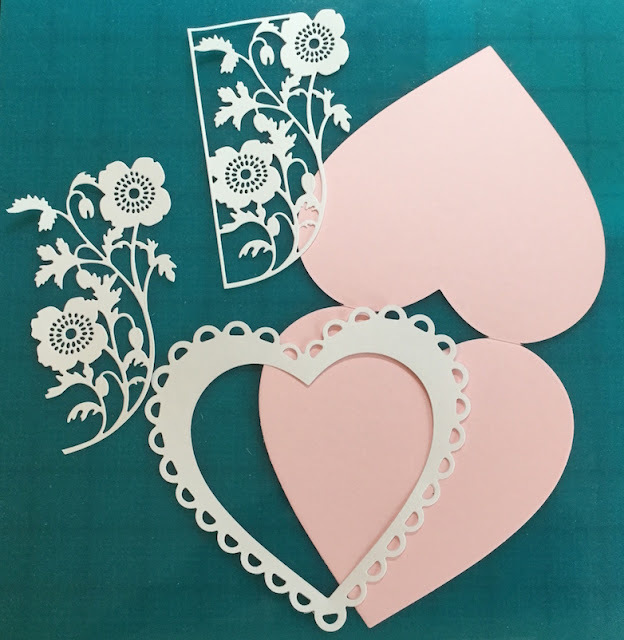 Wetting the die cuts makes shaping them much easier. Not only is it much easier (and lots of fun), but when the shape dries, it is somewhat hardened into that contour. The flowers were inked first, and then spritzed with water and shaped. After drying, they retained their shape beautifully! 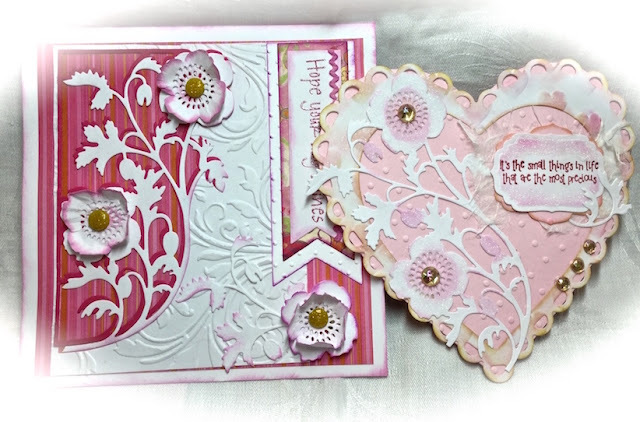 Two beautiful, classy cards Donna, and a great way to show us how to use the dies. 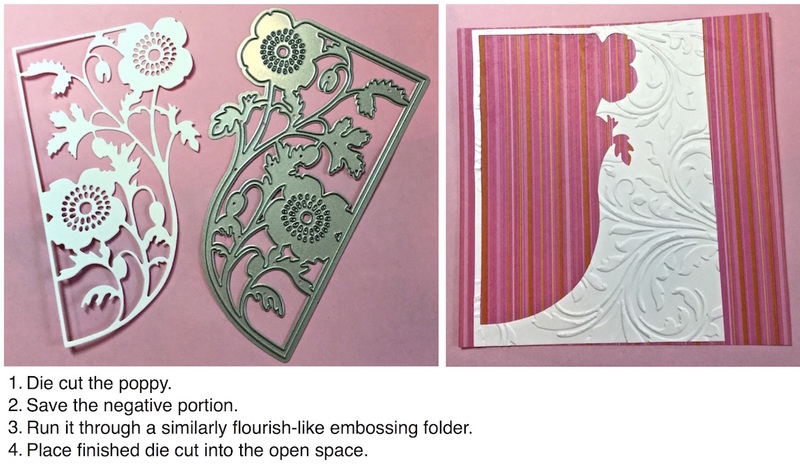 Great tips re the embossing folder and the flowers, I will give them a try! WOW! Both are absolutely beautiful! 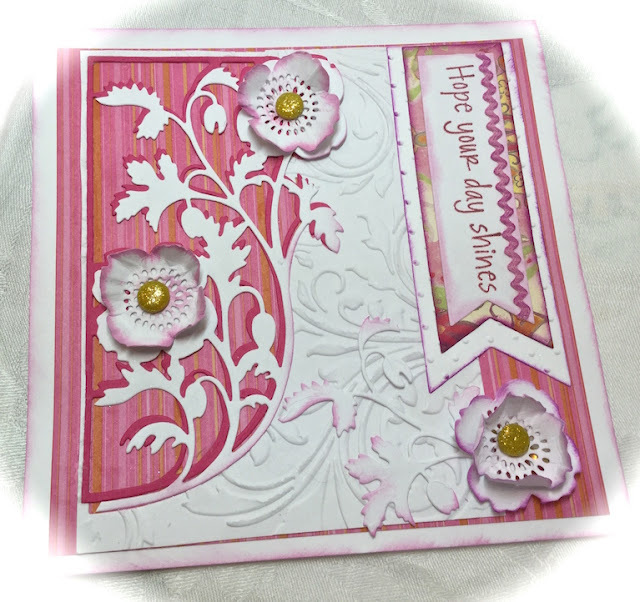 What fabulous tips/tricks ... thank for AMAZING inspiration and beautiful creations. 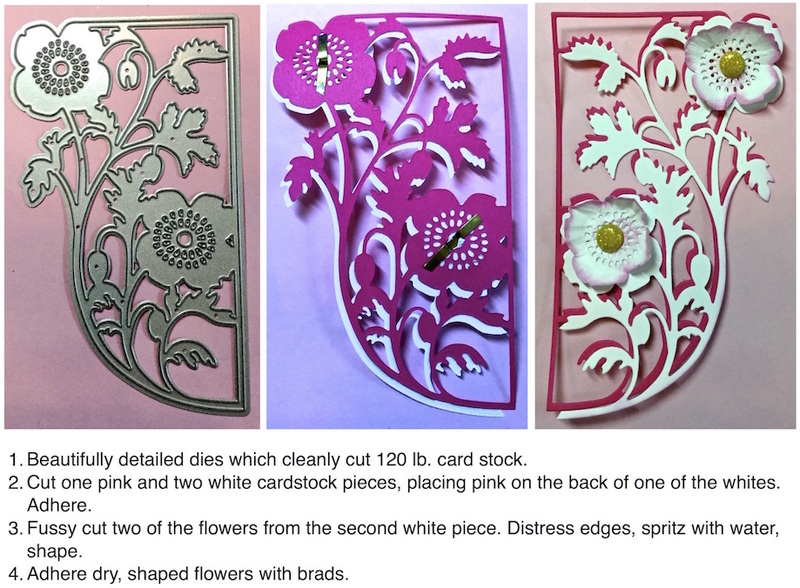 Okay these dies ARE AHmazing......BUT you still have to know what you're doing. You have used them in beautiful ways! Loving all of the layers and your gorgeous designs! 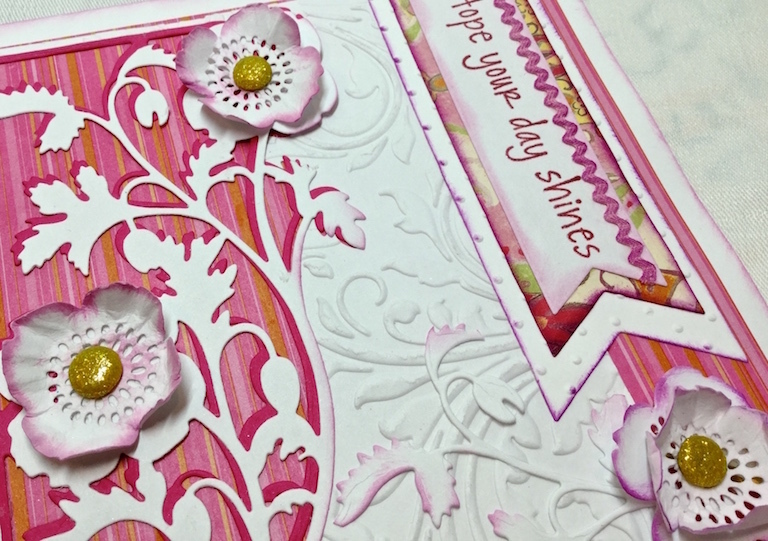 I am going to come play in your craft room with you some day! :) Gorgeous!!! I will be waiting, Donna! Thank you. I have never thought to emboss the negative of the die. Such a great tip and great way to use up scraps. I love the softness of these cards from the embossing, the die itself, and your distressing around the edges. Wow, both are such gorgeous examples of using this die, Lovely work! !